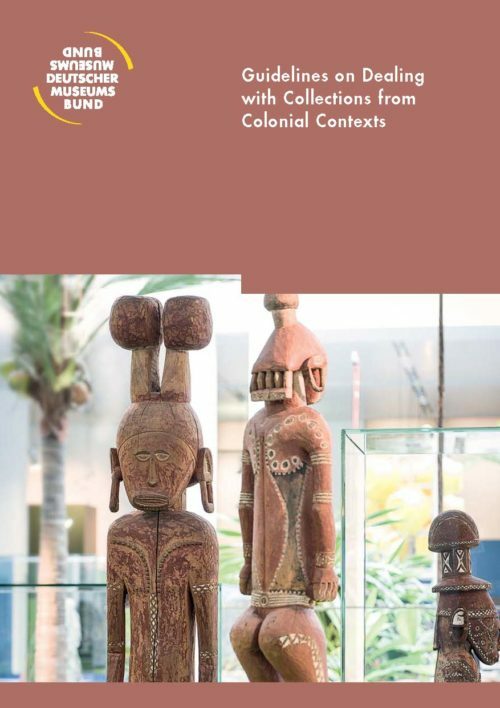 Guidelines on Dealing with Collections from Colonial Contexts – Deutscher Museumsbund e.V. The present publication was drafted by a working group of experts on behalf of the German Museums Association. It is intended as a first edition and as a basis for discussion drawing on the needs, experiences and questions of German museums. It represents a first effort to develop a position concerning the complex and sensitive issue of colonial contexts in museums and collections. The German Museums Association is looking forward to lively discussions and strong feedback with respect to the challenges addressed in these guidelines. The English version of the original German text of the guidelines is essential for a meaningful international debate. As a first step, the members of the working group will discuss the guidelines with experts and representatives from different countries of origin in an internal workshop in October 2018. A second revised edition of the guidelines incorporating the perspectives discussed in the workshop will be published in German and English in spring 2019. Via this website, the public is invited to submit reviews of the revised guidelines. The reviews will be published online on our website. Reviews of the first edition are welcome. If desired, your review will be also published online on our website and evaluated for following editions of the guidelines. Please send your review to: office@museumsbund.de.